As of 2018, the Center for Disease Control and Prevention updated their statistics; stating that by the time a child is 8 years old in the USA, 1 out of every 59 children will be diagnosed on the autism spectrum. 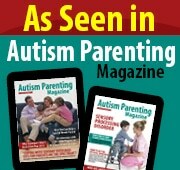 If you are navigating this website, likely you are doing so, because you are worried that either you or someone you love might be suffering from a developmental delay or regulatory disorder, like ASD, Autism Spectrum Disorder, ADHD (Attention Deficit Hyperactive Disorder) or Selective Mutism. First, know that there’s help available to find out just what the difficulties are, if any, and address those challenges. What are the warning signs of a developmental delay? Individuals impacted with developmental and/or regulatory disorders often need a variety of services when it comes to dealing with their individual problems. How often have parents expressed concern, wishing for one unified service center that approaches the healing of their child from a variety of different disciplines? My name is Dr. Esther Hess and I have listened to my families! I am a developmental psychologist and Senior Clinician for Stanley Greenspan, M.D. (the developer of the DIR/Floor Time model of intervention). I am also the executive director of our state of the art facility, Center for the Developing Mind that addresses the specific needs of children, adolescents and young adults and their families struggling with developmental and social/emotional challenges. The Center for the Developing Mind™, a non-public agency in the state of California, is a multidisciplinary treatment facility for children, adolescents and young adults with developmental delays and/or regulatory disorders. Clinical interventionists including mental health, speech therapy, occupational therapy and educational support not only lend their individual support towards establishing a treatment protocol, but the Center’s clinical staff specializes in combining when necessary, multidisciplinary services within treatment sessions to maximize treatment options. At Center for the Developing Mind, we pride ourselves on the taking care of the needs of the whole family. Recently the Center has been involved in a collaborative research project with colleagues from UCLA where we are looking at the feelings of neuro-typical brothers and sisters of persons with ASD. We also work collaboratively with school districts facilitating Individual Educational Plan meetings, parent/clinician/school case conferencing and have now expanded into adult services to include individual, couple, family and group support and when applicable, supervision within the adult workplace and social skills support. The center is equipped with a variety of rooms designed to create the right environment for different types of therapy: mental health, occupational, educational, speech and language and more. Click here to learn more about our facilities. I feel blessed that I literally have the best job in the whole world, because I get to go down on the floor every day and play with kids and toys. And, as much as I love to be ‘on the floor’ helping my children and their families, I am also passionate about being an author; having written numerous professional chapters and articles on how to conduct play therapy for children and adolescents impacted by ASD, selective mutism and ADHD. Additionally, I am a national and an international speaker on DIR/Floor Time: A Developmental/Relational Model of Intervention for Children, Adolescents and Young Adults Impacted by ASD and Sensory Processing Challenges. It has been my privilege to be able to combine my love of travel and teaching and see 48 out of our 50 states in the USA. Most recently, I have expanded my reach and have taught on this subject in over 4 continents! As a consequence of my ever expanding teaching on developmental and regulatory disorders worldwide, I have begun to explore the bridge between clinical practice and policy making. Over the last three years, I have visited Capitol Hill on several occasions, where on the invitation of several Senatorial and Congressional offices, I and various members of our staff have offered both education and support to push forward an ambitious new agenda to better serve children and adults on the spectrum. In a series of policy recommendations, I have had the privilege to highlight and advocate for the needs of children and adults with autism as it deals with relatively familiar pediatric early intervention needs while expanding into the newly acknowledged lifespan concerns including learning life skills, accessing qualified support providers and obtaining funding that’s flexible.